Among other subjects, the exhibit, Yua : Henri Matisse and the Inner Arctic Spirit, celebrates the traditions of Yup’ik masks and dancing while sharing the influence of those customs on the culture. Reflecting upon that exhibit has inspired the topic for this month’s collection spotlight – dance! 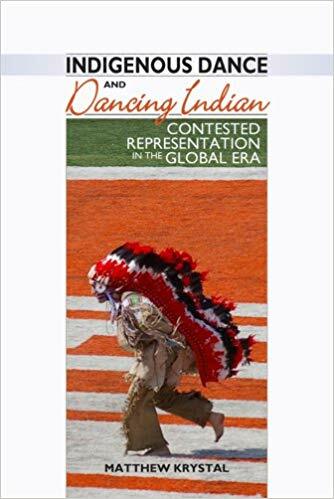 Understanding the need to, the desire for and the choice of dance for people throughout history may turn out to be as complicated as some dance routines themselves. However, most every culture includes some form of social expression typified in dance. For the Yup’ik culture, as well as numerous American Indian communities, dance is a noteworthy part of their cultural heritage and provides a shared experience within the community. 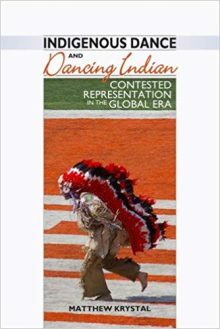 The following four selections from the Library collection demonstrate the critical role of dance in American Indian cultures. These examples examining the enduring history of dance are currently on display in the public reading area of the Library. Please feel free to visit the Library to review these or any other items of interest in the Library and Archives collections. For more details or additional collection information, click on the link labeled Library Catalog Search located in the pull-down menu of the Library tab on the Heard website.